With the jade fingers of Makana reaching to the sky and white hot sand leading to the warm aquamarine waters, Haena Beach is dreamlike. If only dreams were that good! Haena is the site of Tunnels snorkeling beach, one of Hawaii's best coral reefs, and just down the road at Makana is Limahuli National Tropical Garden, an opportunity to take a stroll through "earth's Eden." 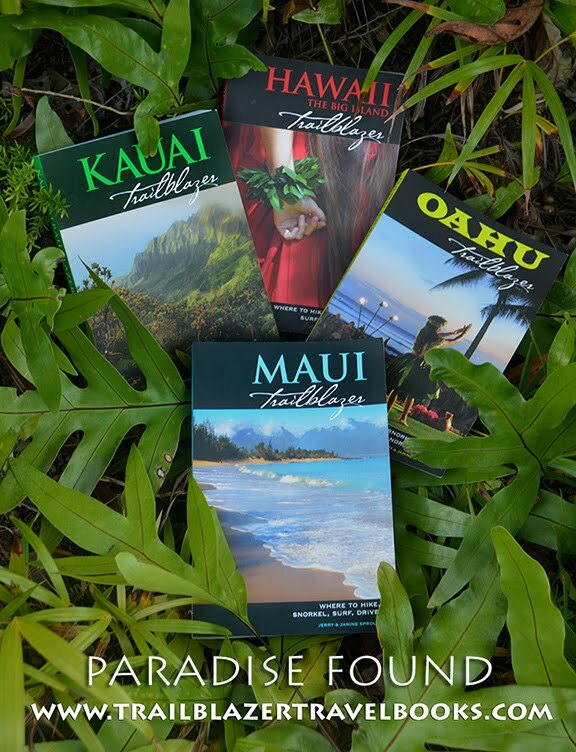 For the more adventurous, just two miles away from the garden is the end of the highway and the beginning of the Kalalau Trail, an 11-mile trek along the island's famous seacliffs-the Napali coast. 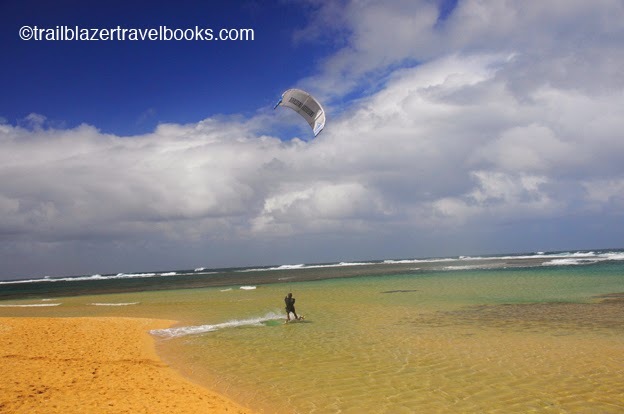 On the other hand, if you hit the right day at Haena, the smart thing to do may be to chill out and soak it all in. The alluring beauty of Kauai's north shore, as depicted in the 1950s movie South Paciic, is what helped create the post-WWII tourist boom in the islands. In the movie, Makana is called "Bali Hai," a name that stuck. Crowds can appear along this normally sleepy coast when the weather is optimal. 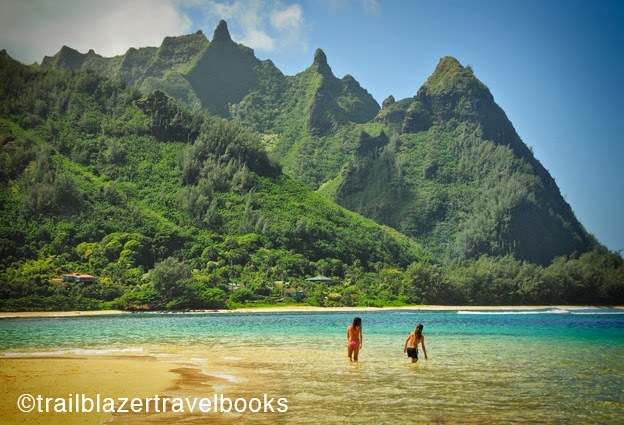 For parking and other tips on finding seclusion, check out Kauai Trailblazer, pages 29-34. 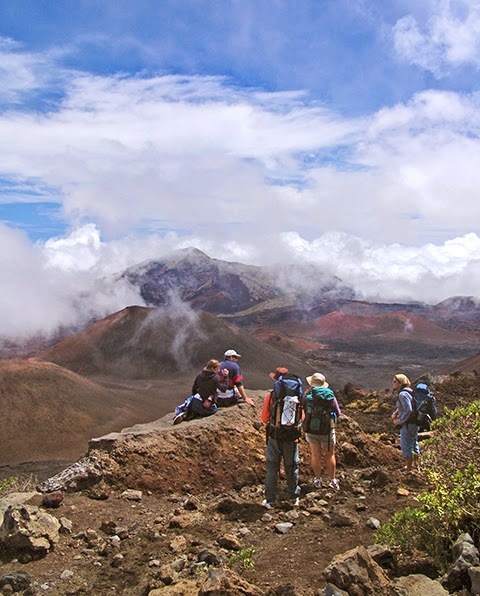 Although Hawaii has many fine museums and cultural centers, much of the story of the Ancient Polynesions is told in the wilds, where it took place. Some sites are national, state, or county parks, but others lie unsigned in the hinterlands of the islands. Among the hundreds of lava-stone temples, called heiaus (HEY-ows), are the "five best," listed below (not listed in any particular order). When constructed, the heiaus had elaborate wooden structures, made of poles fixed together by leaf-twine, frond roofs, and floors made soft by woven mat layerings. The structures withstood hurricane force winds and torrential downpours. 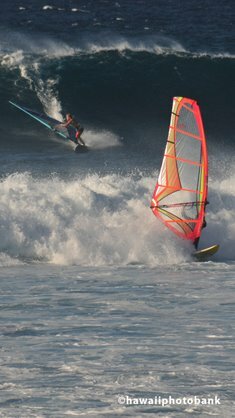 Heaius served various purposes, included traditional houses of worship, but also as shrines to everyday pursuits, such as fishing, navigation, and even surfing. 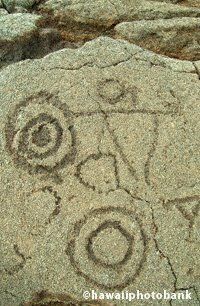 Note: It goes without saying, but if visiting an ancient site on Hawaii, take care not to disturb anything. 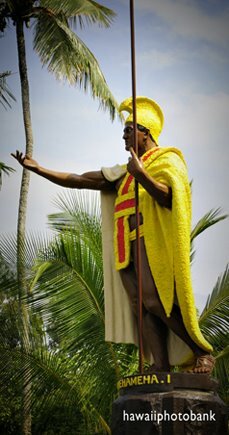 Also remember that to Hawaiians, these are not historic sites, but still-living edifices to the Hawaiian way of life. 1. 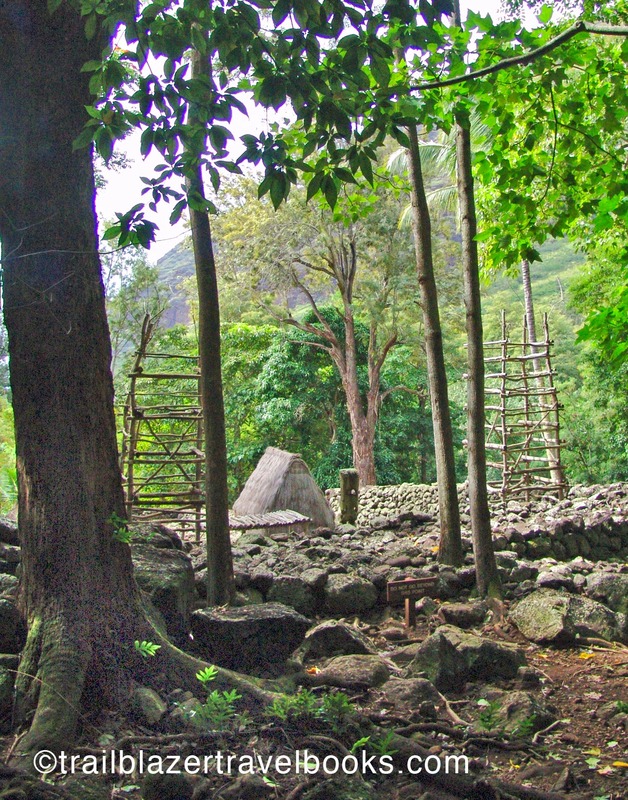 Kauluolaka Heiau, Kauai. Located on the north shore below the beginning of the Kalalau Trail, this hula platform is revered as a birthplace of the native dance. 2. Kaneaki Heiau, Oahu (pictured). Makaha Valley on the island's Wainae Coast is where King Kamehameha's forces gathered to prepare for what was an unsuccessful final attempt to invade Hawaii (a hurricane did them in at sea). The temple, on private land, may be visited for free, but only at certain times. 3. Pi'ilanihale Heiau, Maui. Rising like an Aztec temple from the jungle, this temple is on the grounds of a national tropical botanical garden near Hana. 4. Pu'uhonua O Honaunau National Park, Big Island. Artisans are normally on hand lending more authenticity to this preserved place of refuge with numerous structures. A trail leads to another former coastal village. 5. Mo'okini Heiau, Big Island. King Kamehameha was born at this windswept monument on the north shore that has a big view of Maui. The future king was spirited away as an infant to avoid harm from his enemies. Trailblazer guides for each island give details on all ancient sites listed, as well as tons of more stuff. 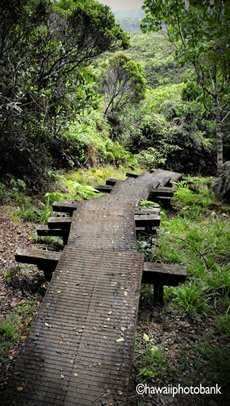 With 600 lush acres, trails for both strolling and hiking, and well-kept cabins for rent, Kalopa Native Forest Reserve State Park is high on the list—if not at the top—of Hawaii's mountain parks. It's easy to miss, located almost three miles from the highway along the north end of the Big Island's Hamakua Coast (the northeast). Most tourists at this locale are making a beeline for Waipo Valley. Bring your outerwear. Kaplopa is set at 2,000 feet in elevation and receives enough rain to keep the forest green and growing. A huge lawn with picnic tables and exotic gardens surround the cabins (which are available for rent), so the park works as a lunch break followed by a family stroll. 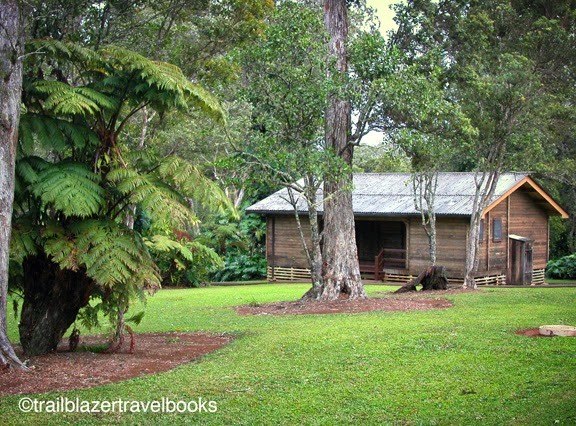 Adjacent to the cabins is a larger network of trails in the forest reserve, where colorful birds zip through a towering canopy of non-native trees like blue gums, as well as the natives, such as koa, ohia, and the loulou palm (Hawaii's only fronded native). Lava gulches, about 300 feet deep, add geologic interest and tell of the presence of Mauna Loa, located another 12,000 feet uphill from Kalopa. 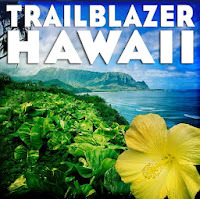 Hawaii the Big Island Trailblazer has hike descriptions and information about renting the cabins. What’s Best: Stop in for a swim on the locals’ side of the bay, taking in views of the Anahola Mountains in afternoon sun. Parking: Take Hwy. 56 past Kealia. Turn makai on Anahola Rd., past mm13. You’ll see a right-turn lane at a guardrail and a right-arrow sign. Drive .75-mi. to white-rock sign and palms noting the beach park. Veer left, and continue to the end of road. 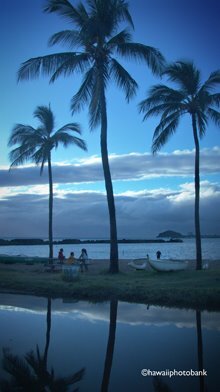 Anahola Beach Park is the home beach for the Hawaiian community of Anahola. To Anahola Stream, go left on the beach, with its beautiful views of the Anahola Mountains, seen through a healthy grove of coco palms. You’ll pass the camping area long before reaching the wide mouth of the stream. For Pahkuloa Point, take the dirt road just beyond beach parking, past picnic tables through ironwoods. On a gradual rise amid trees, the road rounds Kahala Point and then breaks open to grassy slopes. Avoid spur roads left and, about .5-mile from the trailhead, and you will reach rock-and-sand Lae Lipoa Beach, which you can walk instead of the road. At the end of this beach, follow the road as it ascends inland, passes another small rocky beach, and reaches the point. From here, you’ll see across a cliffy cove to where fishermen can drive in from Kealia. Snorkel: The waters off Anahola Beach Park are shallow and the water clarity is normally above average. But you’ll have decent snorkeling in this relatively safe swimming area. 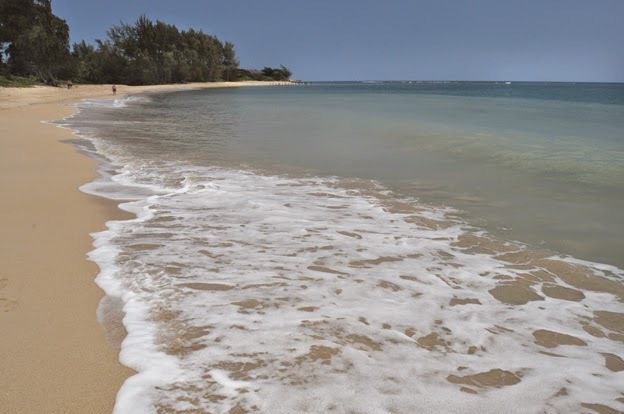 The beach has sandy entry points and a good swimming lane that extends toward the river. Be Aware: Under high surf conditions, currents can be a problem.